Client is a Europe based expert collections partner for Online Travel Agents. Company’s entire procedural infrastructure is based on the collection of overdue commissions invoices. Also, there is a high volume of daily financial transactions with hotels in literally any place in world. Despite the growth of payment processors (Pegasus, Onyx, WPS, etc.) automating the commission payments, many relatively small invoices remain unpaid. Collecting these bills can be a very inefficient and cumbersome process due to communication, administrative and language issues at the hotels. In order to fulfill the process, they need to send notification letters to debtor. Along with the above challenges they also needed a solution for multi-currency support since they worked with more than 100 countries and wanted to have the information reconciled in their corporate currency which is Euro. 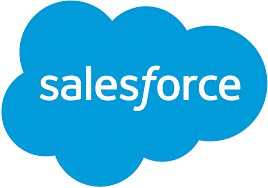 Salesforce was implemented for the recommended approach the client follows for the debt collections. Along with other regular configurations and customizations visual force pages were used to develop the functionality required for mass emailing of multiple debt files with multiple languages and templates making the process smooth, easy and efficient. Lots of business logic went inside for the solution but for the end user it was just a nice and clean UI interface which did the trick. Advanced currency management feature of Salesforce along with required configurations and customizations were used to overcome their multi-currency woes. After proposed solution the client was easily able to send multiple debt files with option of template selection to debtor. They were also able to reconcile all the financials to their corporate currency for easy reporting.